Its pieces like this Eastern influenced top that keep DORIN FRANKFURT’s signature tailoring feeling feminine and irresistible. 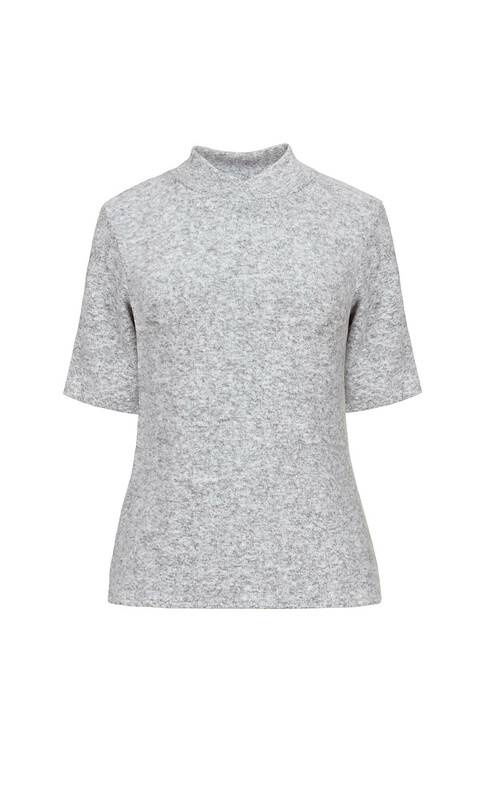 This ultra soft knit top is detailed with a high collar and short sleeves that make this piece perfect for winter layering. Try styling yours over a matching midi skirt for that extra relaxed feel.